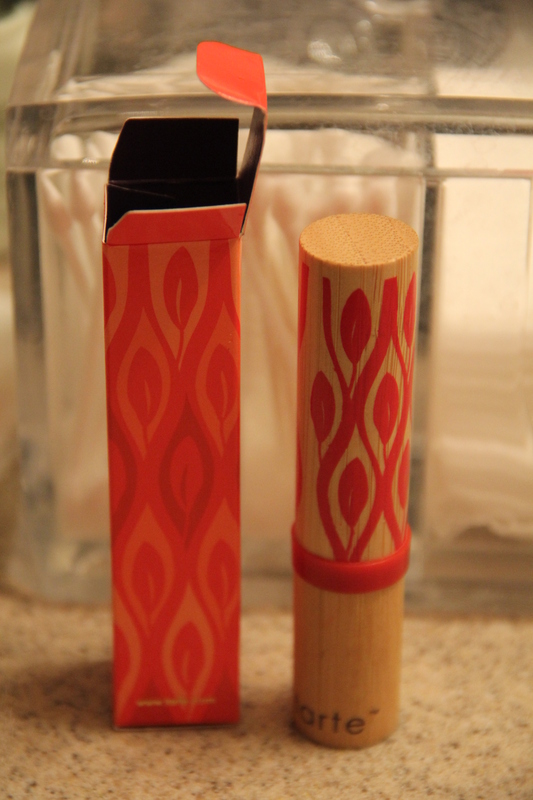 Tarte Glamazon pure performance 12-hour lipstick (Phew, that’s a mouthful!) 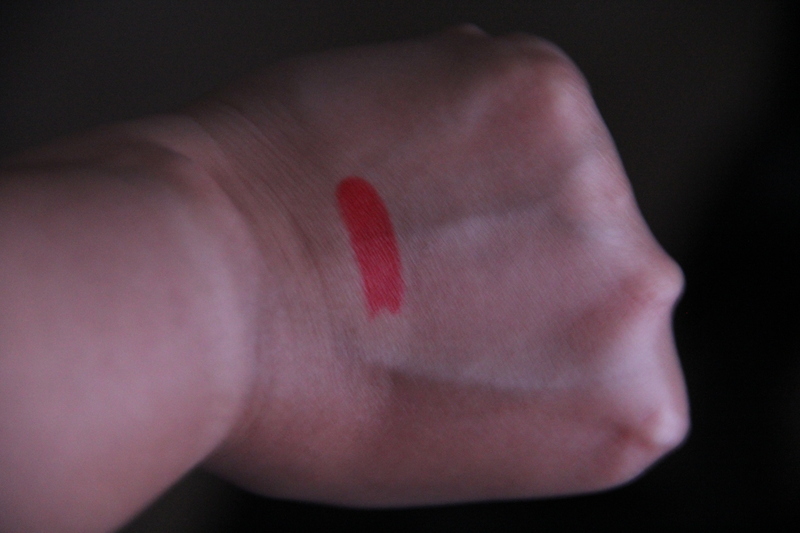 is described as a long wearing, clay infused lipstick and retails for $26.00… It is supposed to be a rich, vivid and long wearing color that applies smoothly and that doesn’t fade away.. 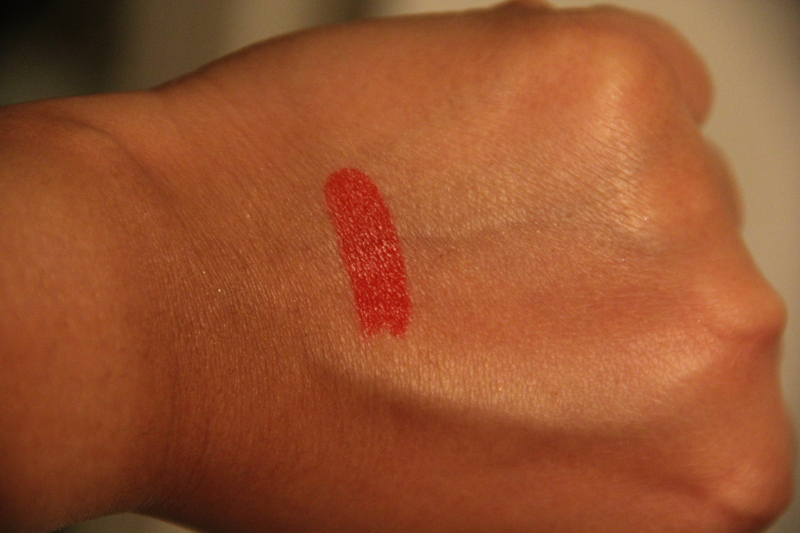 The color I have is called “Fierce” and is described as a bright red lipstick.. Went on smoothly on the lips without any lip primer and did not dry out my lips.. It has a satin like finish and stays put throughout a regular 9-10 hour workday (I did touch up after lunch even though it didn’t come off completely)! 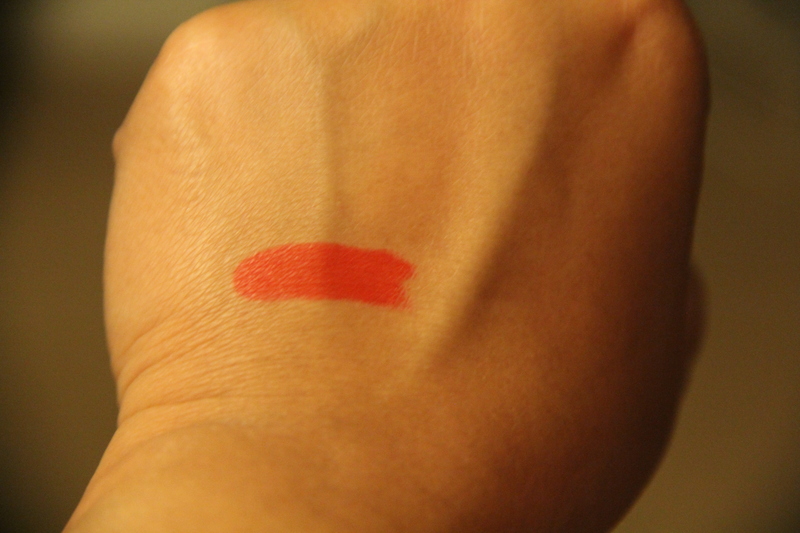 I apply it with my Sigma L05 lip brush..
Looks so rich and creamy. It is.. and has fantastic staying power.. All you need is a lip balm/gloss to keep adding moisture as the hours go by..